Located on the picturesque island of Santorini, Laokasti Villas allows guests to enjoy the beauty of the Greek Isles in a comfortable and relaxing atmosphere. Seventeen different units offer a variety of views and room variations to accommodate groups of various sizes. The onsite restaurant and massage services provide the tranquil and peaceful vacation families will enjoy year after year. These Santorini timeshares for sale offer units that will accommodate from two to five people in the beautiful Laokasti Villas. 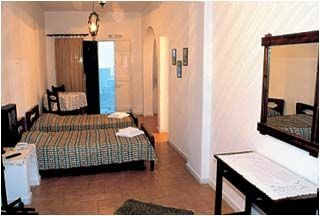 Each of the units is unique and provides views of the sea, swimming pool, or garden and feature a kitchenette, televisions, air conditioning, and Wi-fi. Whether you would like to enjoy the sunset from your veranda or balcony or have easy access to the swimming pool for the kids, you will be able to find the perfect timeshare to fit your needs. Onsite amenities at Laokasti Villas include a swimming pool with a pool bar and jacuzzi and sauna. While relaxing on holiday, treat yourself to a massage that will be conducted in the privacy of your own room. The rooftop garden provides an excellent opportunity for a romantic view of the island while enjoying the sun and fresh air. 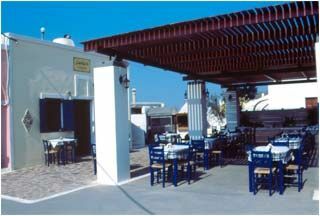 When you are ready for a meal, the onsite restaurant offers traditional Greek cuisine that will delight your palette. The Head Chef, Konstantinos Dimitriades uses fresh local ingredients and the wine list is provided by local wineries. Spending time in Greece will help you create memories for a lifetime. 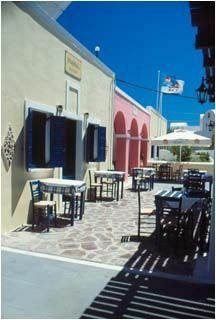 Within a ten-minute walk to Oia Town, Laokasti is central to small shops, art galleries, and jewelries. The cafes, restaurants, and taverns located along the promenade offer breathtaking views of the island. 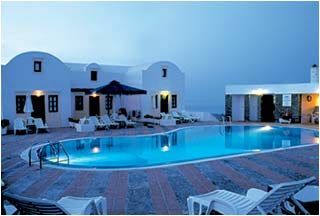 Santorini timeshares for sale can provide an affordable option when considering your next vacation. Whether you would like to take advantage of the local water sports, visiting the many wineries, or exploring the museums and archeological sites, Santorini offers unique and panoramic views of the sea and amazing sunsets to enjoy throughout your stay. Contact Laokasti Villas Specialist Today!